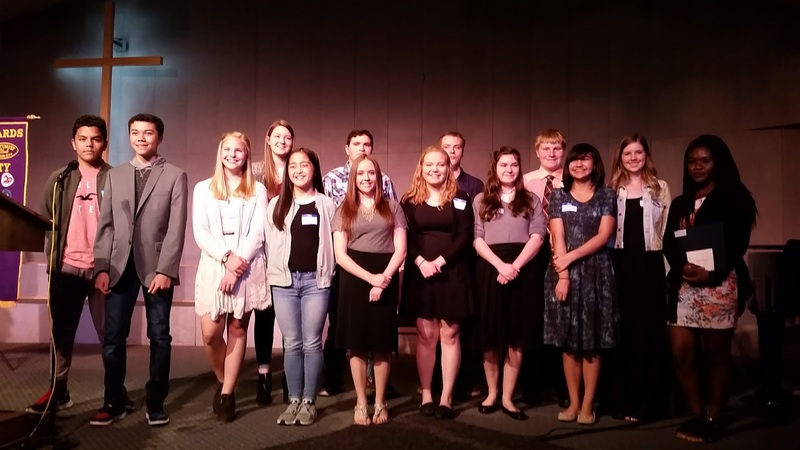 On Saturday, May 13, 2017, I was honored to be invited and to attend the Oregon City Optimist Club's 2017 Citizenship and Youth Appreciation Awards. Seventeen students were chosen by educators in eight schools to be recognized at the event and their teachers and administrators were on-hand to tell us just why they had earned the respect of their peers. The stories included two common themes: kindness and service to others. Most were scholars and athletes, some were thespians and writers, and all were good citizens with perserverence, patience, enthusiasm for life recognized as positive traits. Joanne Truesdell, President, Clackamas Community College made a keynote presentation where she complimented each student and their parents and/or caregivers for their leadership. She explained that she had been asked to speak about the vital role of community service, but realized that just hearing the stories of those being honored was explanation enough. "It is about your approach to life," said Truesdell. "Show up, smile and be kind. You may be too humble to believe this, but it is all about you." "What you do, what you are being recognized for, it's not as easy as it might seem," she continued. "But push through the big projects and those things that you do every day because that's what keeps your community healthy." Quoting Mother Theresa, she reminded all assembled that love is vital to community. She concluded her words by saying we should all strive to achieve this goal: "When all is said and done, I have served my moment well." Congratulations to all students! Thanks to all the parents and teachers and kudos to the Oregon City Optimist Club for such a fine event.